Back in the day all flower bouquets were presented like this, flat packed and ready to re-arrange. Nowadays there are still keen flower arrangers who love unwrapping one of these and getting to work putting them in their favourite vases, jugs and jars. 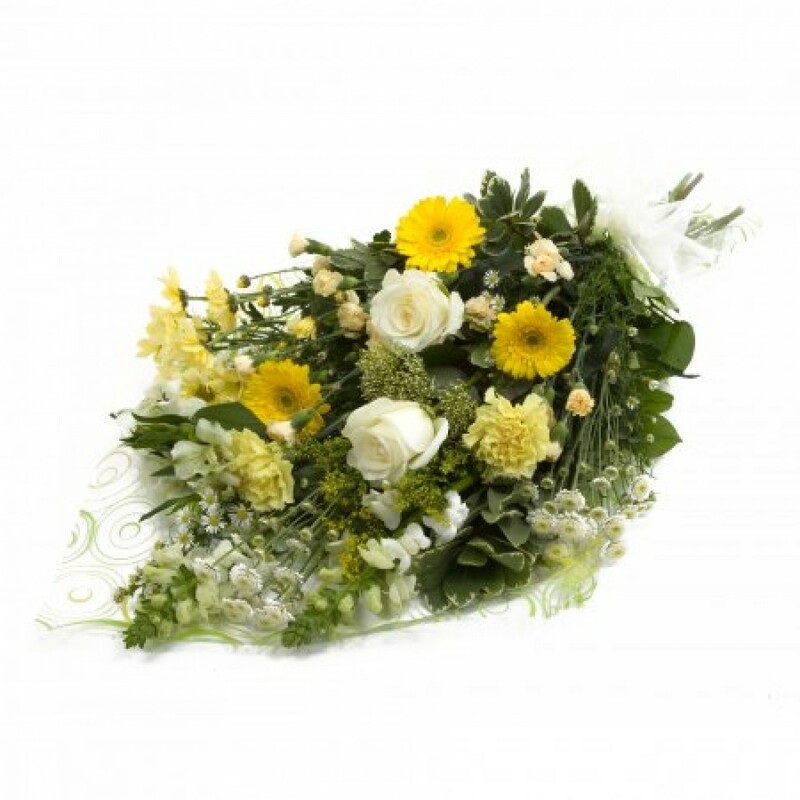 A mix of fresh blooms in white and lemon shades, we can tailor it to your requirements by adding items your recipient will most enjoy. Pictured is the basic mixture including Lemon Mini Gerberas, White Stallion, Lemon Carnations, Cream Spray Carnations, White Antirrhinum, Lemon spray Chrysanths and foliages. The same mix will not always be available due to seasonal variations. Why not upgrade with the addition of Asiatic or Oriental Lilies, Freesias, Lisianthus or Alstromeria? We will package in co-ordinating cellophane or paper and accessorise with raffia or ribbon to complete. Your message will be hand written on a gift card with envelope and the bouquet comes with a supply of flower food and care instructions. If you wish we can supply the bouquet with a special moisture retaining bag surrounding the stems to prevent drying out.